Located in eastern Surrey in the south of England, Reigate is a town within the London commuter belt. It has a population of around 22,000 and a strong property market thanks to its great access to the English capital. At My Home Move Conveyancing we’ve been developing our knowledge of markets like in Reigate since 2001, allowing us to bring our clients in the area a leading, fixed fee conveyancing service. When buying or selling property in Reigate, you need to instruct property lawyers to carry out the legal work on your behalf. 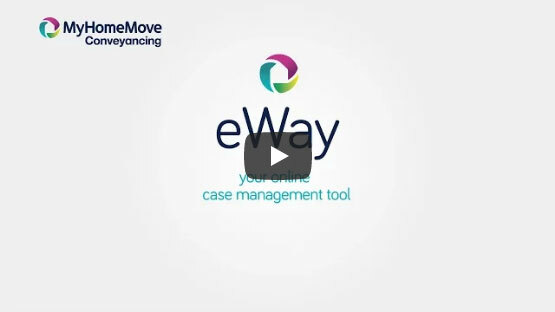 By choosing My Home Move Conveyancing as your Reigate conveyancers, you’ll gain access to our award winning customer service, intuitive use of technology and expertise of the local market. Our professional, friendly conveyancing service comes for a fixed fee. There are no extra hidden costs to worry about, so you’ll know exactly what you’re paying from the outset. What’s more, if you don’t end up moving for some reason, we have a ‘no completion – no fee’ policy. We assign a dedicated conveyancer to each of our clients, who’ll look after your case from start to finish. You’ll get regular, clear updates on your progress, as well as 24-hour online access to your account. At My Home Move Conveyancing, we bring a positive approach to everything we do, and pride ourselves on getting things right first time round. We’re proud to provide our conveyancing services in Reigate to homebuyers across the area, from those looking for something in the town centre, in a neighbourhood close to the train station, or by Priory Park to the south of town. The average house price in the borough of Reigate and Banstead is £397,398, while the overall average sale price in Reigate during the last year was significantly higher than this at £525,692. Flats provide most popular in terms of volume of sales over this period, going for an average of £306,297. Semi-detached properties fetched £527,168 and detached houses sold for £938,157. Archaeological evidence points to settlement in Reigate’s local area since at least the Bronze Age, while Neolithic flint mines have been discovered on the ridge of the North Downs above the town. Reigate has plenty of history to delve into, as well as a great location close to the Surrey Hills and lots of lovely surrounding countryside. It also offers great access to London, which has made it a popular place to live among commuters to the capital. Most trains to London Victoria and London Bridge take around 50 minutes, although there are some services which take less than 40 minutes. Reigate has great access to the M25, with junction 8 of the motorway just a short drive to the north. When you want to go on holiday, Reigate is perfectly placed for getting to Gatwick Airport. Only seven miles to the south by car, direct train services to the airport take just over 15 minutes. There are some highly rated schools in the area for families with children to take into consideration, with options for younger pupils including Reigate Priory Junior School and Wray Common Primary. Reigate School, Reigate Grammar and St Bede’s School are among the local secondary choices, while Reigate College provides further education to students from the age of 16 upwards. All properties in Reigate will fall within one of the following council tax bands.